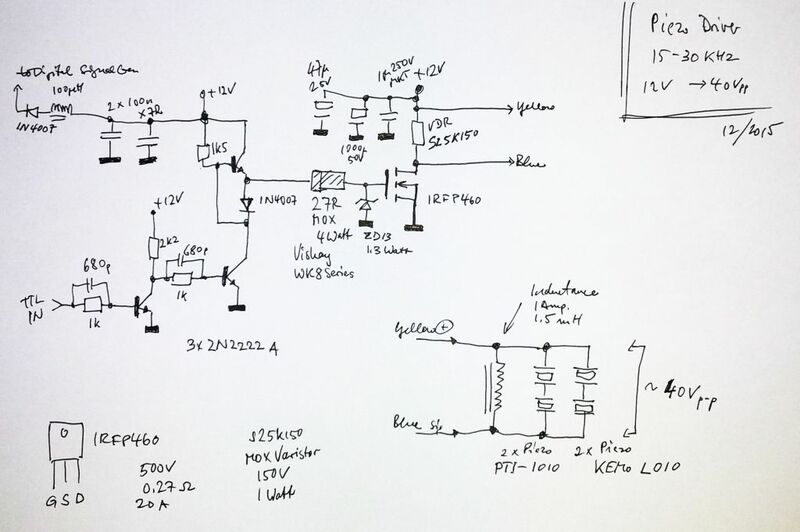 For all folks that are into repair of vintage gear, here is another list (earlier list: Vintage Transistors) of circuits that I have in stock. There are many more in stock, but these below have been listed and are stored in a way that I can find them easily… Primarily, these are for my private shop&repairs, but if you are in desperate need for one of these goodies, just shoot me a line (I may ask for a fee to cover my expenses&time). 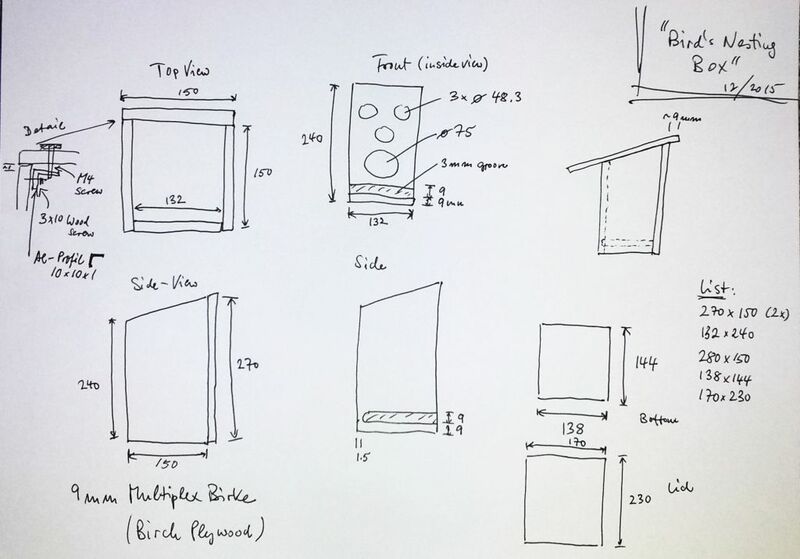 Note that I don’t keep exact stock lists – some of the parts may become unavailable over time. Listings of more outdated ICs – will be added soon. 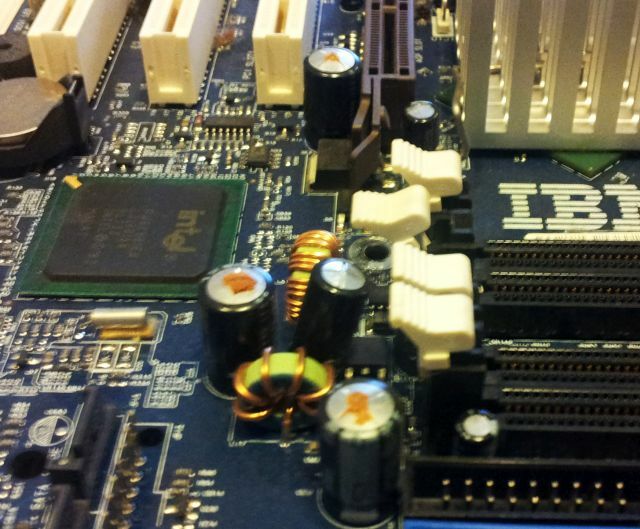 One of my computers, a trusty IBM Thinkcentre Desktop, decided to fail on me. Symptoms – sometime it starts up normal, sometimes it doesn’t. Already hangs at the boot screen. 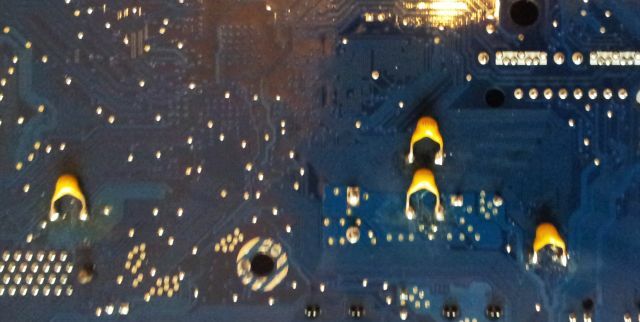 Smells like a hardware issue, and in fact, it is a hardware issue – with some electrolytic caps (note the brown substance leaking out from the top vents; fortunately enough, no damage to the board). 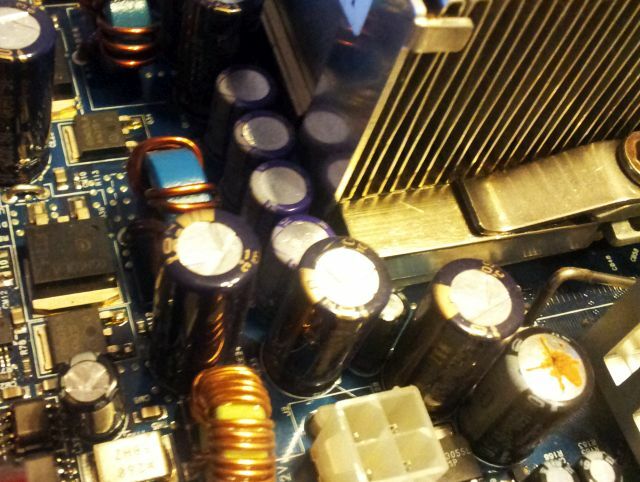 Electrolytic cap failure are a very common feature of modern consumer electronics, the remarkable thing here: only some of the caps failed – 1500 µF, 10 V, and 1000 µF, 10 V. Maybe these see particular load, or they are from a batch that wasn’t all that good. All were high quality Nichicon brand, 105°C, HM series, specially designed for PC motherboards, low impendace, etc. 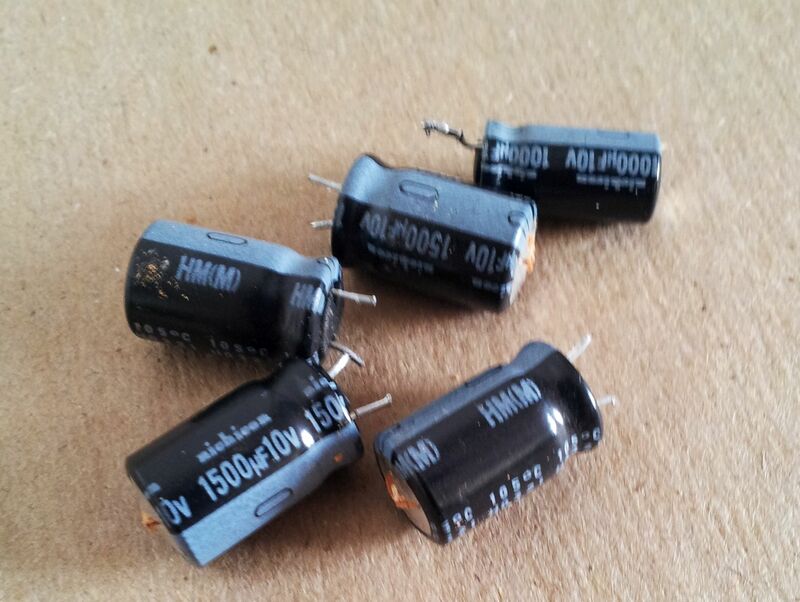 All caps were replaced by 1000 µF, 25 V – these were the only caps I had available with the given footprint and capacity range; 100 n X7R multi-layer caps were added (solder side), hopefully, to prolong the lifespan of the electrolytic caps. 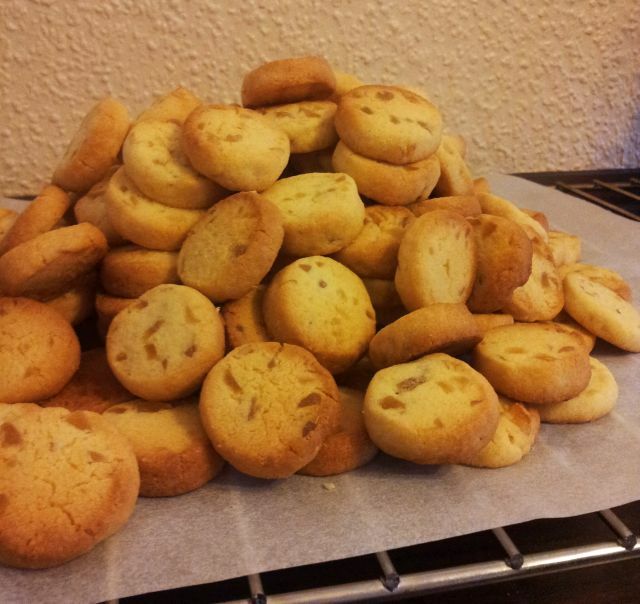 These are the culprits… a last look before they go into the bin. Board is working good as new. Let’s see how long the repair will last. 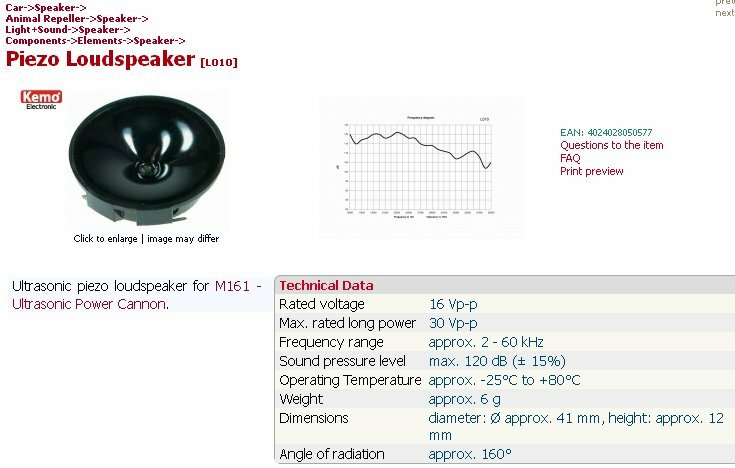 Many designs have been published in the past for various EMI probes. All have there merrits for particular applications. Here, a very handy small probe, especially suited to check enclosures of switch mode power supplies and similar circuits for EMI leaks. The probe has particular advantages for localizing the actual leakage spots, because it only captures fields in its close proximity, unlike many other EMI test probes. 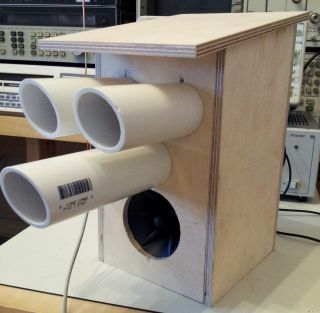 The setup is very low-cost, using the venerable LM386 amplifier to directly drive a small speaker. 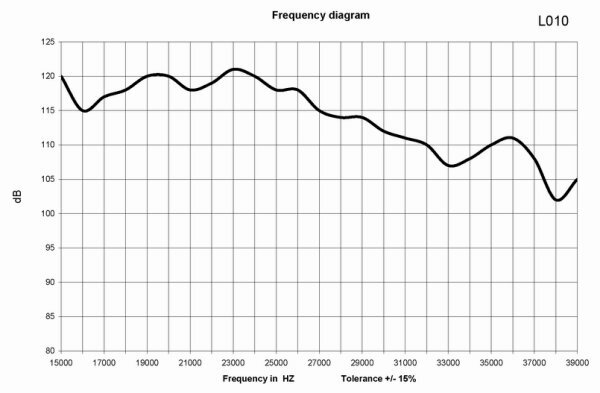 Gain is set to 200, 46 dB. 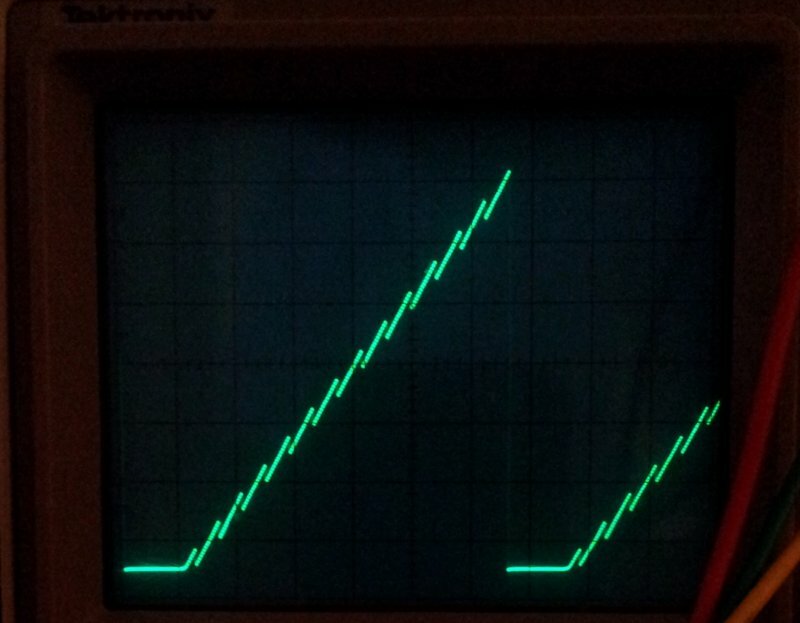 Sure, you can also hook this up to an oscilloscope, or to the line-in of a soundcard for waveform/spectrum analysis. 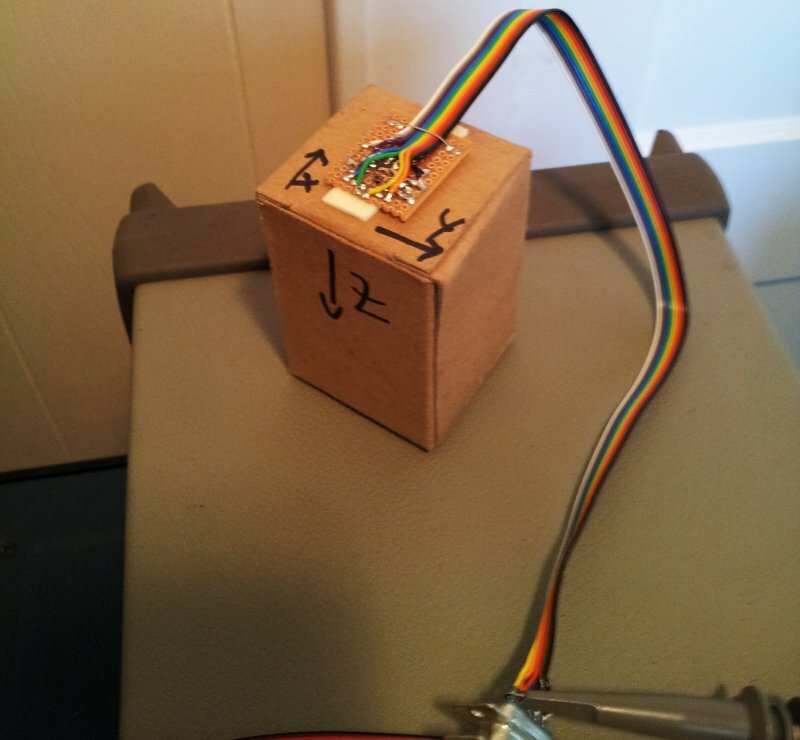 A 9 V battery is used to power the thing. The sense coil – a small ferrite rod, with a coil of about 150 turns, small-diameter copper wire. 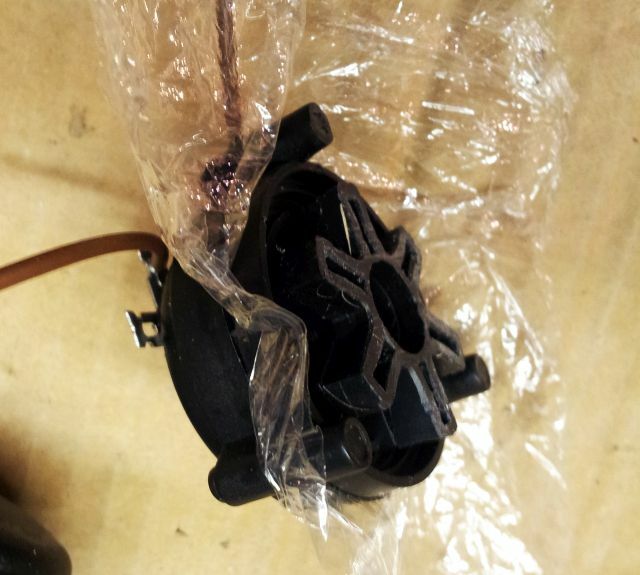 To protect the coil, seal it with some heat shrink tubing. 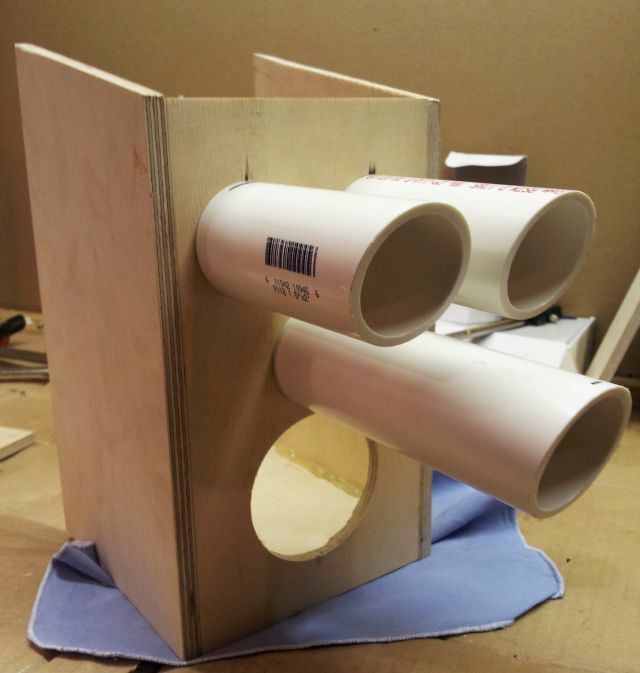 Following up on an earlier post, , design is now complete and a test unit has been completed. 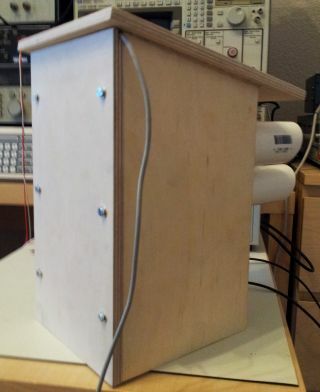 First, a nesting box was made using 9 mm birch plywood. This can be varnished, to any color you like, and is in itself very much weather resistant. 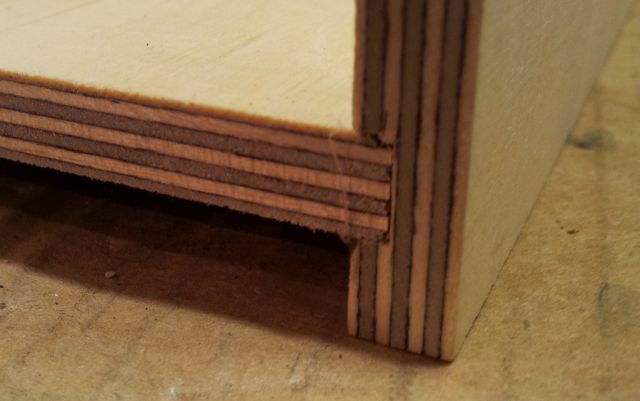 All edges and gaps were sealed with hot glue. 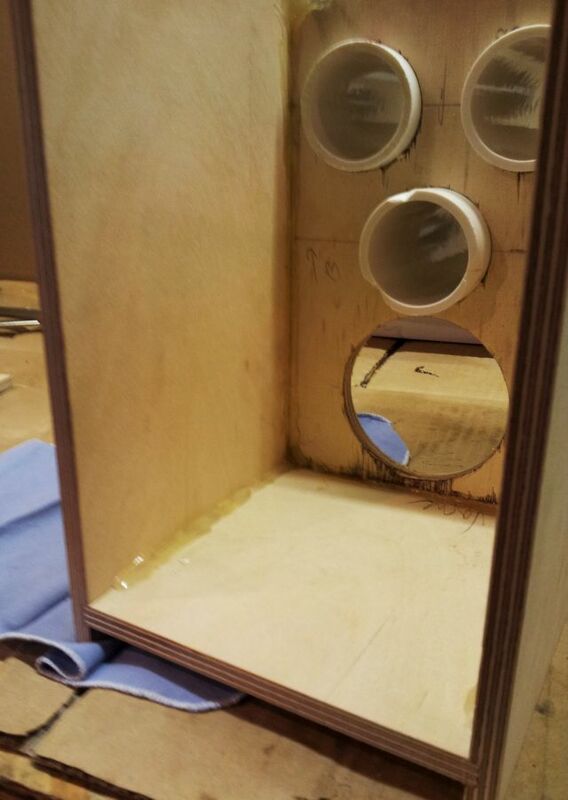 For added stability, the bottom plate is inserted into a grove of the side and front panels. 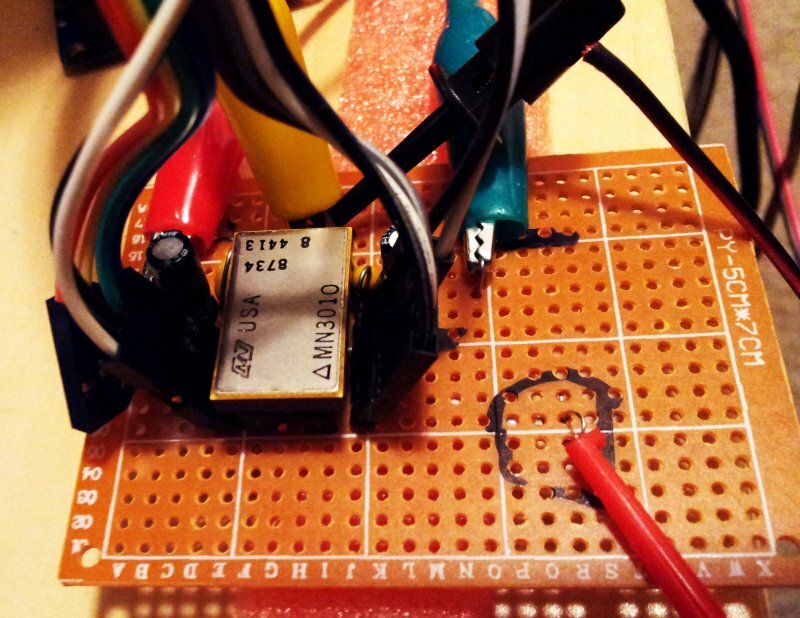 The driver was upgraded a bit, from the earlier version, by using a IRFP460 MOSFET. This is a very sturdy part, and will most likely not fail even under some severe operation conditions. 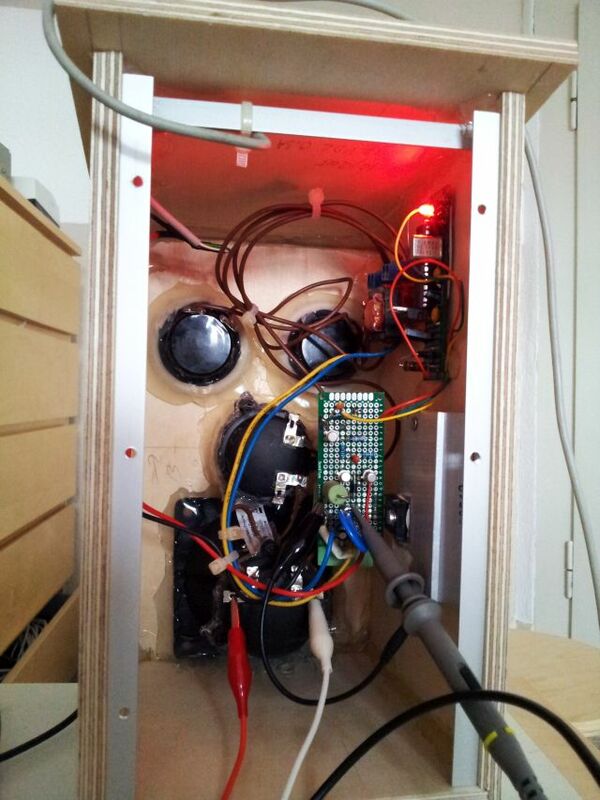 It it can also be mounted to the heatsink in an insulated fashion, without any special washers, etc. – this is the main reason for selecting it. and 2x PTI-1010; one of the PTI-1010 has its horn cut-off; both were fit with two layers of wrap foil to protect the membrane (PTI-1010 has a paper membrane, whereas the L010 has a plastic membrane). 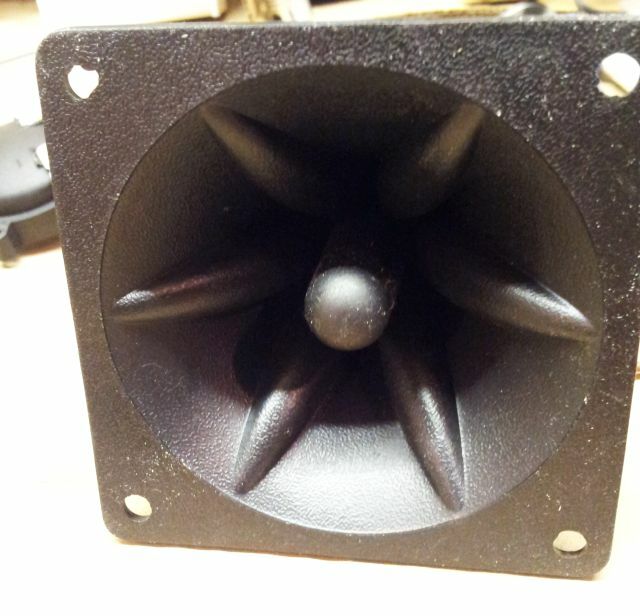 One key component of the setup, an inductor, in parallel with the speakers. 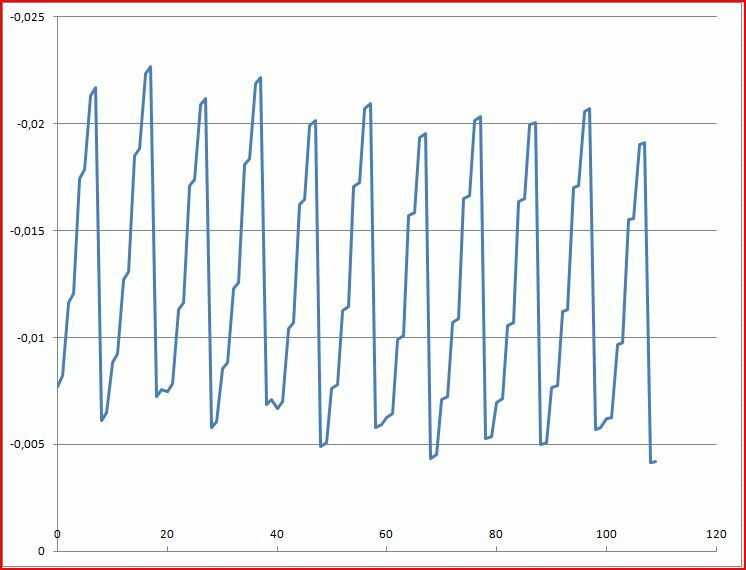 This converts the capacitive load of the piezos to a much more well-behaved load, resonance frequency of the setup is a few kHz. 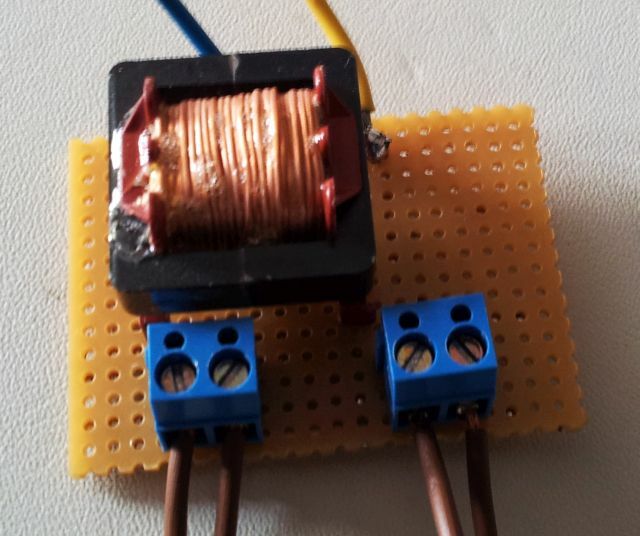 The coil needs to be capable to handle currents of 1 Amp easily, otherwise, it will heat up and may even fail. The one used here may be a bit oversized but it was on hand and still has acceptable size and dimensions. 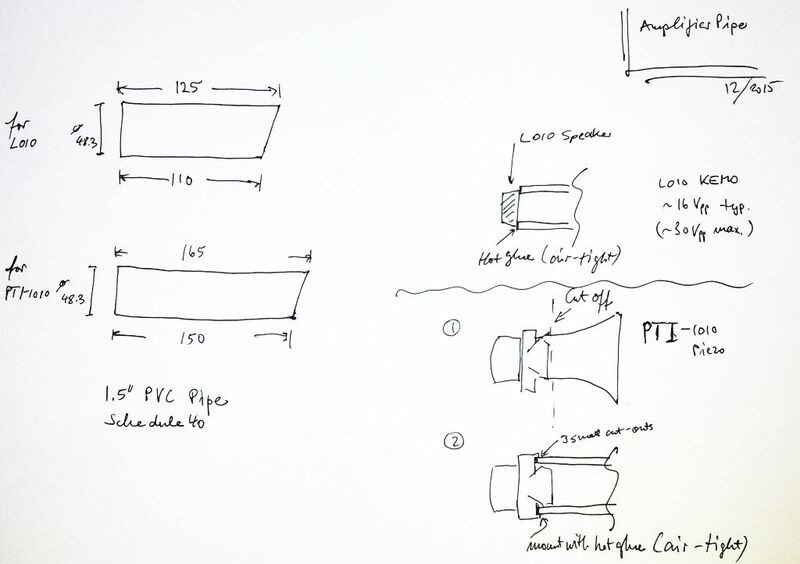 Three of the 4 speakers are mounted in Schedule 40 1.5″ PVC pipe (this pipe is common in the US and dimensions match well the dimensions of the speakers; you can use other types of plastic pipe as well). 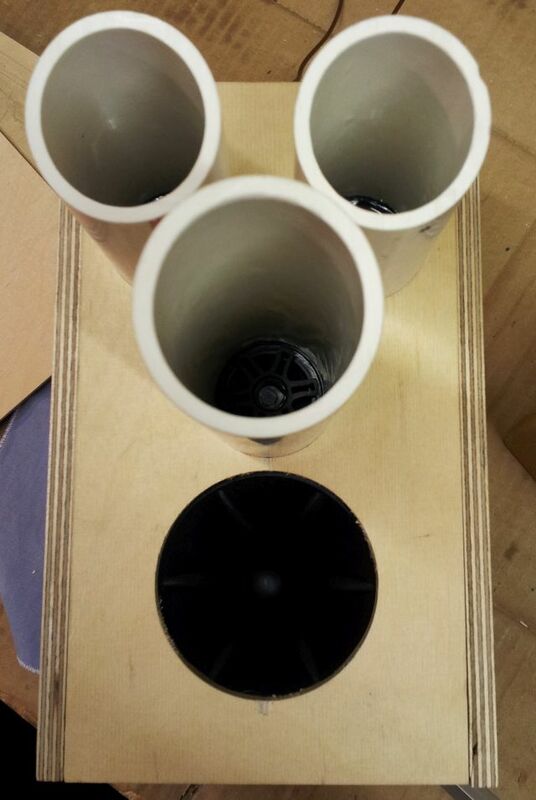 The holes in the wood panels are precision machined, for a snug fit with the pipes. 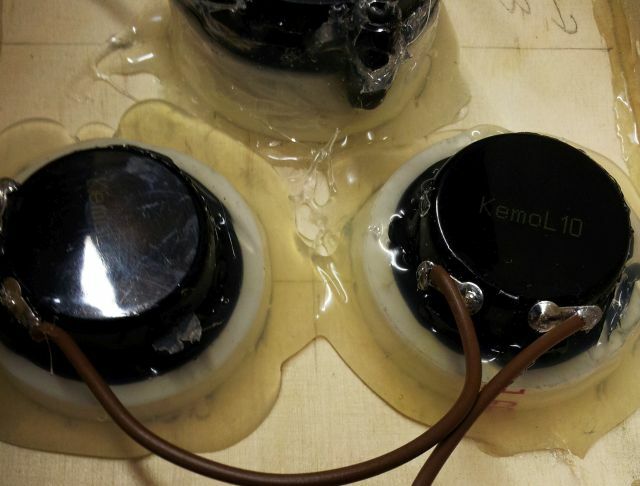 Hot glue is used to seal it all together and to firmly lock everything in place. 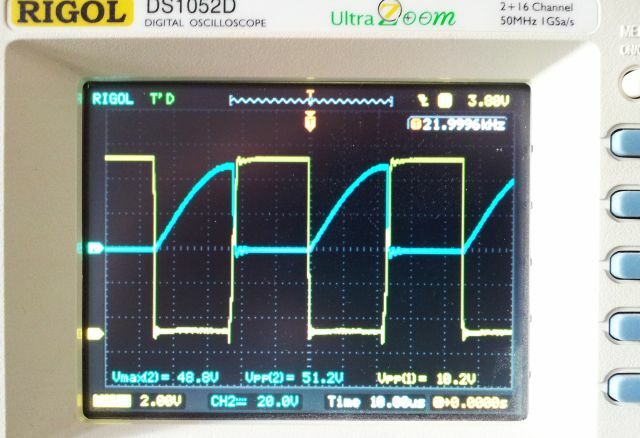 Typical waveform during a test run, driving at somewhat above 12 VDC to test system durability… gate drive (yellow) and source-drain voltage (blue). 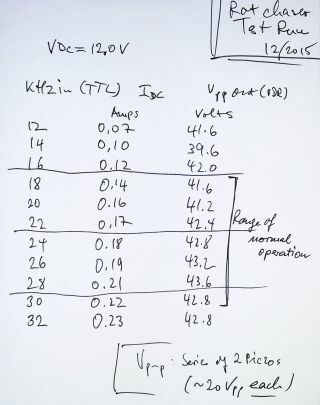 Operated from a 12 Volts DC supply, the final tests show that the output voltage is pretty much in line with the allowable voltages for a series connection of two L010 speakers, and flat over the frequency band of interest. As some of you may know, ginger is not only praised for its taste, but also improves your health. Especially, with all the heavy xmas foods, why not prepare some ginger cookies that are delicious and help digest the fatty items. 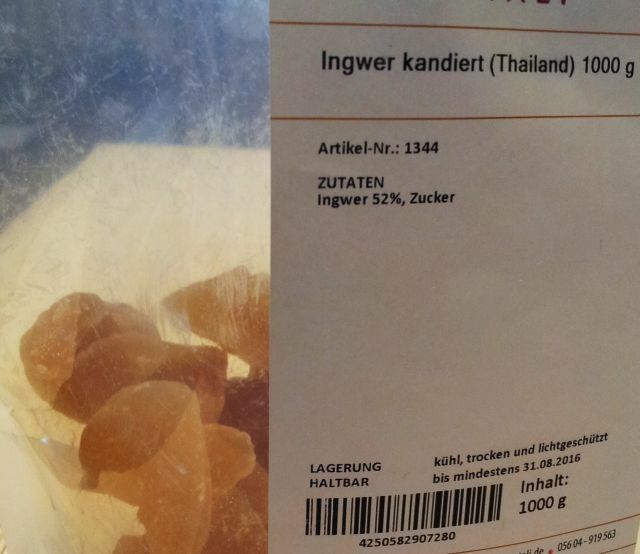 250 g candied ginger, cut into small bits. First, prepare a dough with all ingredients, except, the ginger. Once dough has reached uniform texture, add ginger, and knead until it is well mixed in. Then form rolls, about 1″ in diameter, wrap in aluminum foil and put into the fridge over night. Take out one roll after the other, and cut into about 1/4″ thick slices. 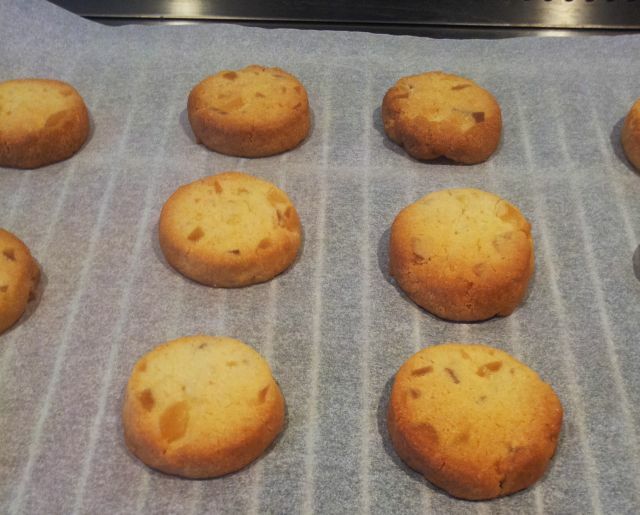 Should look about like this (note the space between the cookies, don’t place them too closely on the tray). Bake at 165-170°C in a air-convection oven. Sure, other types of ovens can be used, at medium heat. Bake until slighly brown at the edges. This will take 10 to 12 minutes. Handle with care after baking – let them cool down before any major handling. These cookies are ready to eat right after preparation, so no need to start with xmas baking in November. These are very delicious and chocolate-rich cookies. Enjoy in moderation. Prepare a firm dough and let rest overnight in the fridge. Take out small portions at a time, roll to about 1/8″ thickness, and punch tree-shapes, or other shapes as you prefer. 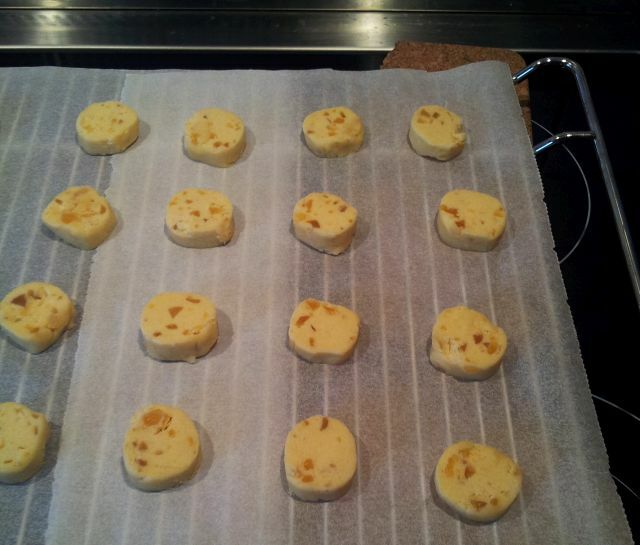 Dough is not too easy to work with, so add some flower and only roll a small portion at a time, not the whole quantity. Bake at 170°C, in convection oven. Or similar oven, medium heat. Baking time about 10 minutes. Once cooled, melt some nougat (Viennese nougat, brown, finely ground nougat; alternatively, some nougat chocolate or hazelnut chocolate, finely ground) and assemble 2 cookies with some of the molten nougat. Keep temperature of the nougat in the proper range to ensure medium-firm consistency, otherwise, it will be hard to assemble the cookies. Total quantity of nougat needed will vary with thickness of application, but 200-250 g should be enough. Let the assembled cookies rest overnight, in a cool but dry place. Then, dip in molten dark chocolate (about 300 g needed), using a fork, one cookie at a time. Place on some parchment paper and let the chocolate solidify. Package in a box, layer by layer, with parchment in between the layers. Don’t stack more than 4-5 layers to keep the surface of the chocolate nice and free of defects. Filter through a cotton kitchen towel, or similar thin sheet. This is quite laborious; considerable force is needed to get the liquid out but it will work just fine with some patience. Take filter residue, and mix with another 500 mL of 40% spirit. Let soak for some time (30 minutes), and filter again. Take filter residue, mix with 300 mL of hot water, and filter/squeeze until all liquid has been removed. Some semi-dry fibrous residue will remain (discard). This operation should yield about 1.4-1.5 L of ginger extract. 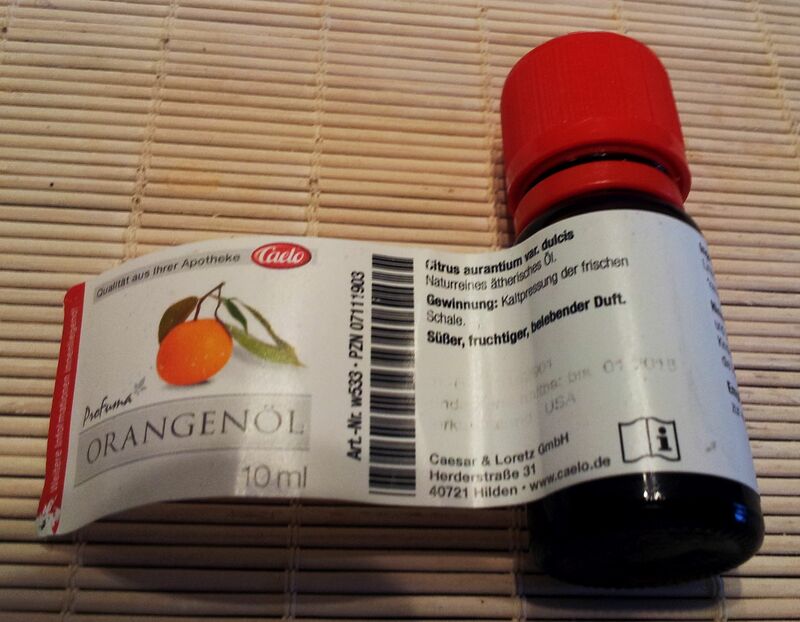 This will give about 850 g – 600 mL of sirup. Finally, in a large container, mix the sirup, the extract, and 100 g of honey. Add 20 drops of orange peel oil (essential oil). 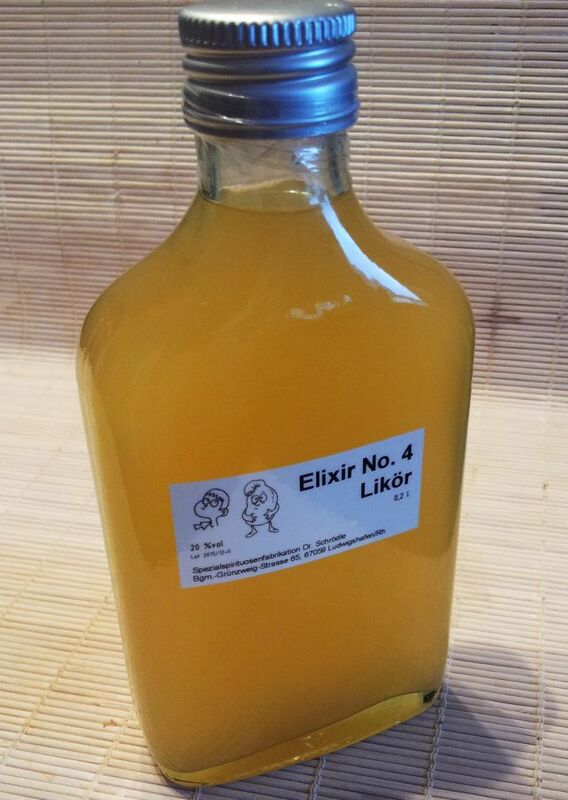 As a result of all these efforts you will obtain about 2 L of very healthy ginger liquor that is ideal for gifts, and sure enough, also to maintain your own health. To enjoy, either drink pure, 3 tablespoons per serve. Or, even better, mix 3 tablespoons with a cut of hot water (really hot), and enjoy while still hot and inhale the vapors. For all folks that are into repair of vintage gear, here is a list of transistors (ICs, quartz crystals) that I have in stock. There are many more in stock, but these below have been listed and are stored in a way that I can find them easily… Primarily, these are for my private shop&repairs, but if you are in desperate need for one of these goodies, just shoot me a line (I may ask for a fee to cover my expenses&time). 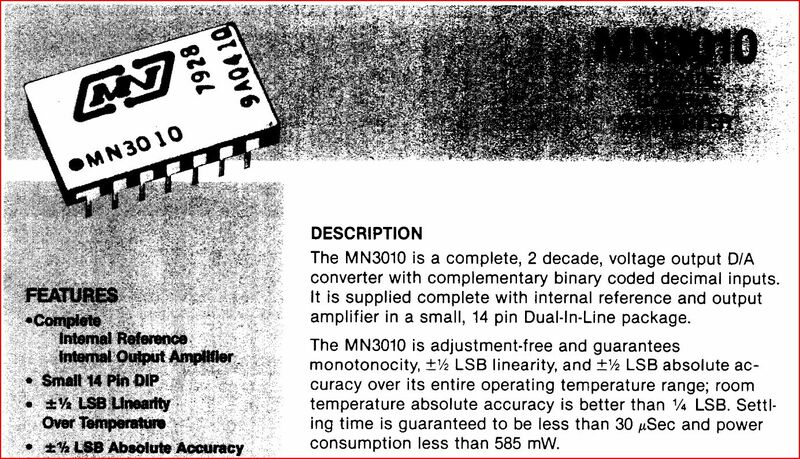 These are mainly old Ge and Si transitors, and some amplifier ICs; listings of more outdated ICs – will be added soon. 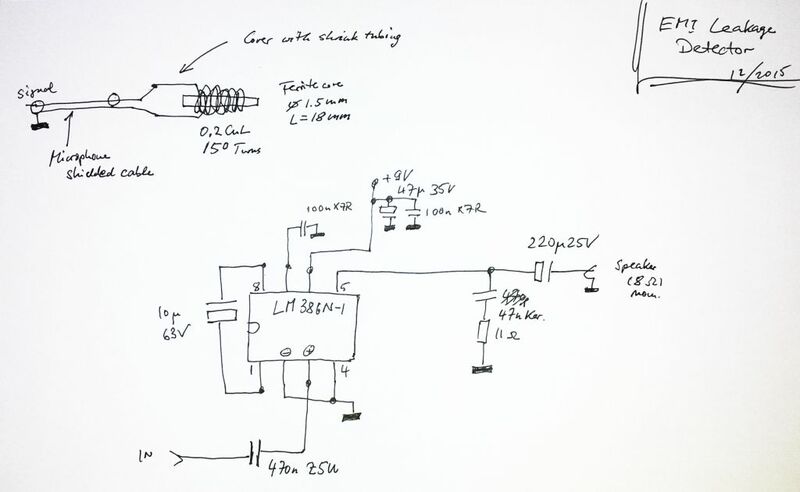 For some project to be discussed later, a magnetic sensor will be an essential ingredient. Time for some preliminary tests, using ST Microelectronics LIS3MDL sensor. 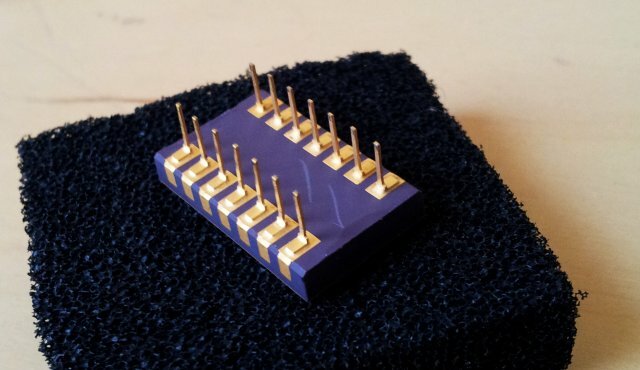 Just 2x2x1 mm, and 12 contacts! 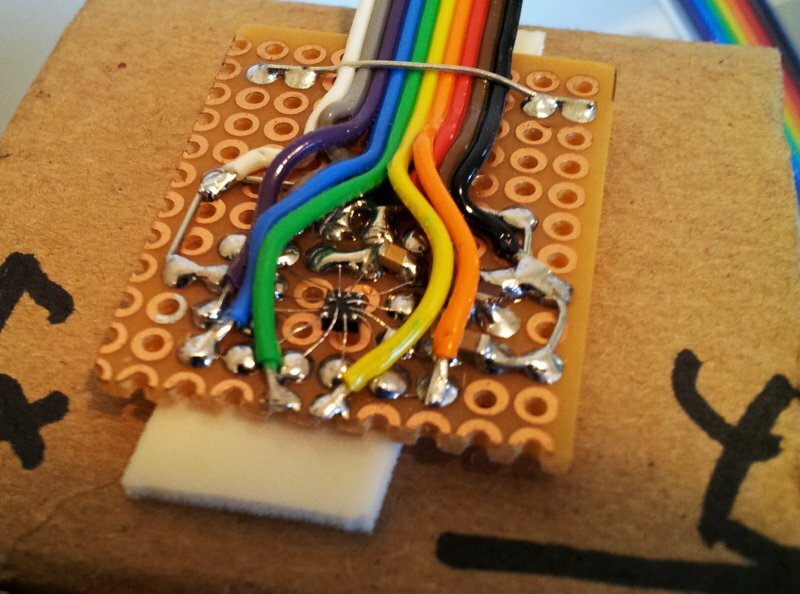 Not an easy tasks, but as you can see, wires can be soldered to all these contacts. Will be covering this with a bit of expoxy glue soon. 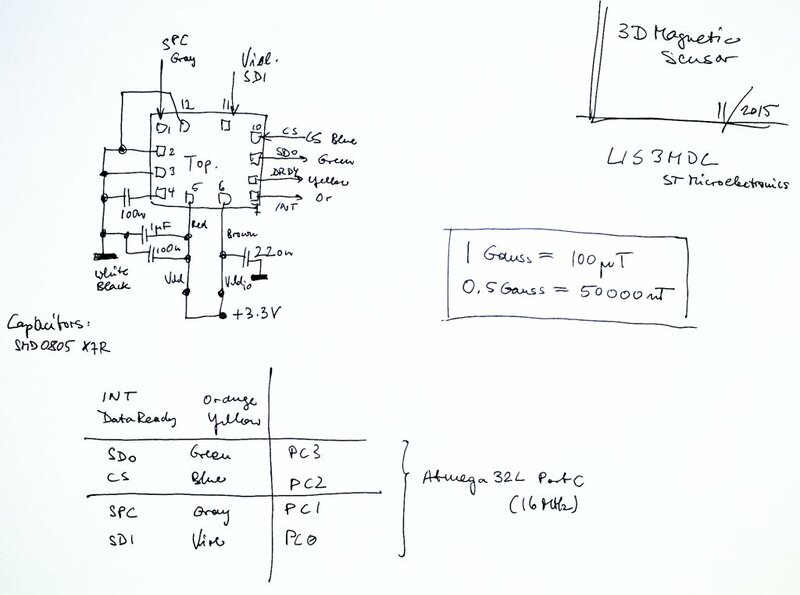 The “schematic”, it is rather simple. All is connected to a small ATmega32L board, running at 16 MHz, and handling the USB interface used to get the data out. The board, mounted to a box, showing the XYZ coordinates. 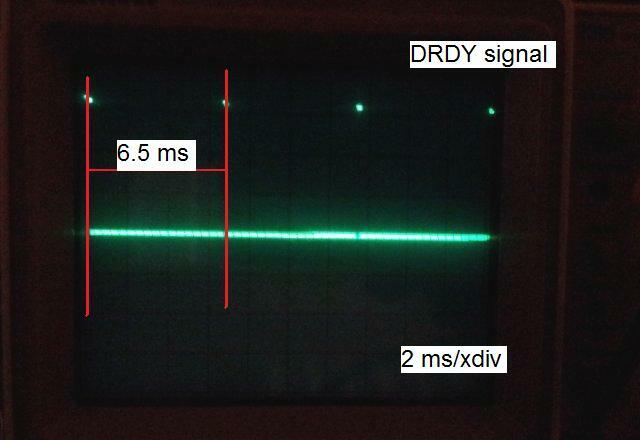 After some configuration and programming, believe it or not, there is actually a signal on the DRDY (data ready) line – this is set high, whenever data is available. 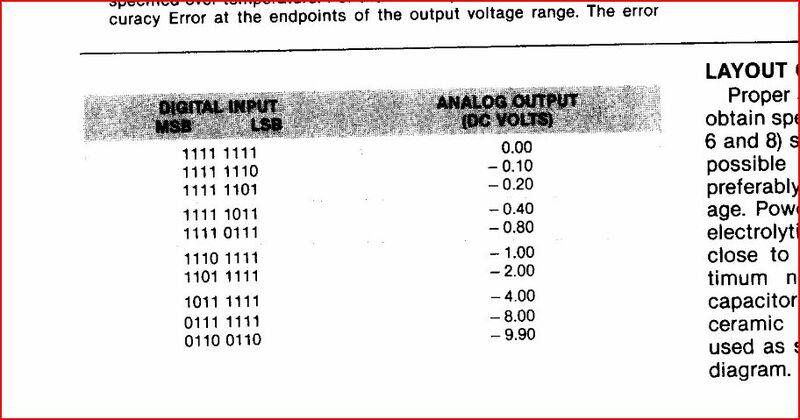 The AVR uses the configuration register to query data acquisition status. But DRDY could be used as well. 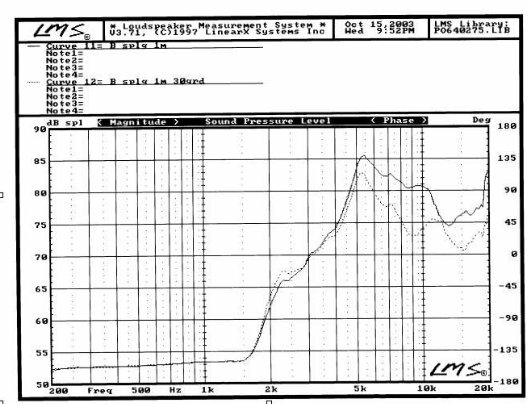 For best noise performance, the LIS3MDL is run at its fastest and most precise setting, getting 1 sample every 6.5 ms – about 155 Hz data rate. 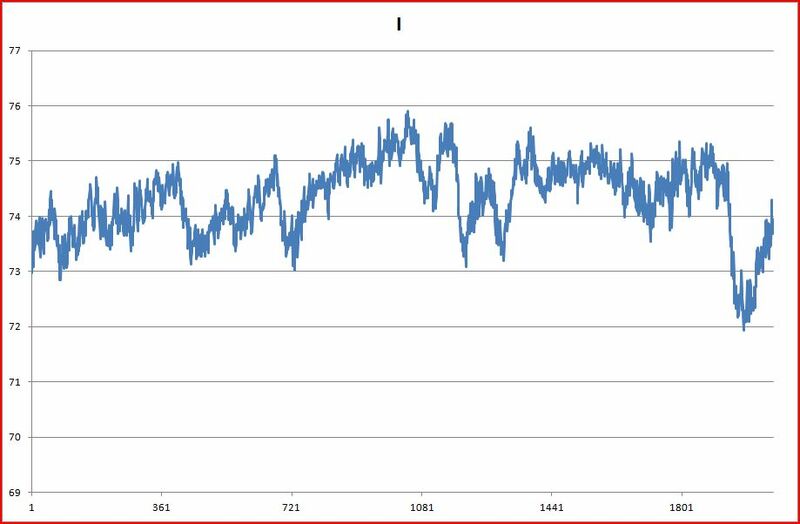 Date is then decimated to 1 point per second, transferred to a PC via USB, and further decimated to 1 point per minute. 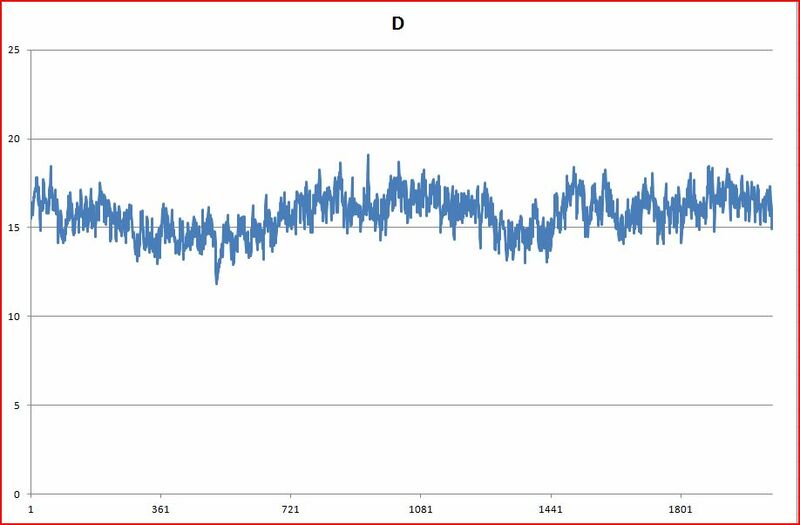 Inclination – New York (actual, correct data: -13 deg Declination, 67 deg Inclination, total field: 52 Microtesla, about 0.52 Gauss). Declination (absolute value – acutual declination would be negative). … well, not quite accurate yet, but close enough! Some variations seem to be due to temperature, others, not so sure, living next to a train line here, and a lot of magnets around, including, strong magnets. And the cardboard box, it is not really square and rectangular, nor is the alignment perfect. 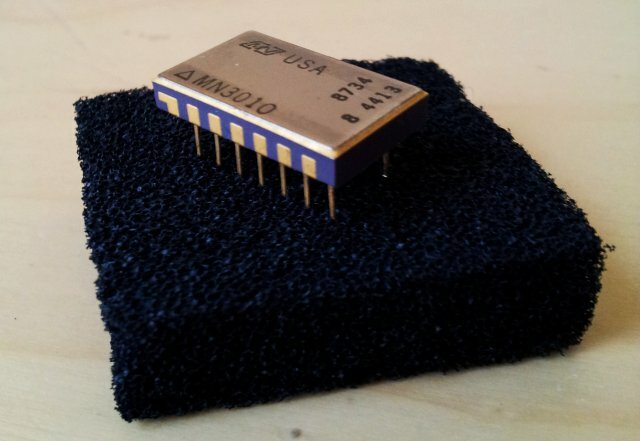 Recently, I found a MN3010 chip, in a pretty fancy and unconventional ceramic/gold/metal package. 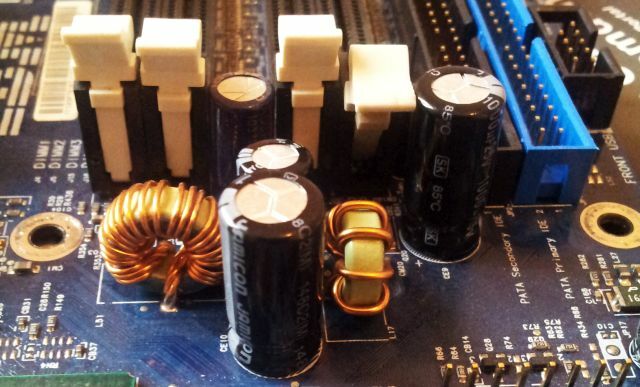 Turns out, it is a DAC; but not a normal DAC – rather a 2 digit BCD DAC. 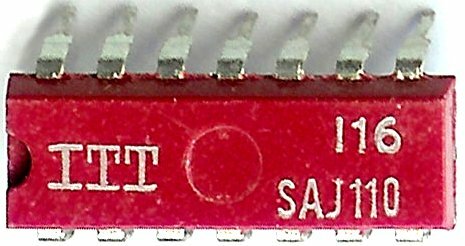 Notice the strange steps – this is a clear indication of the “BCD” nature of this chip – 4 upper bits encoding the output in 1 volt steps, and the lower 4 bits encoding the 0.1 V digit. 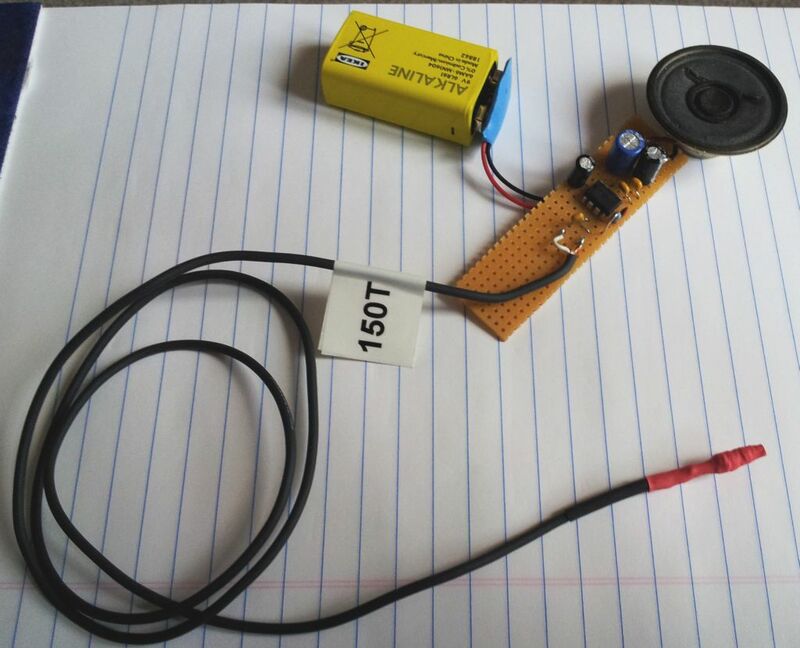 Now, to put it to a test – re-programmed the counter to actually count in BCD digits, from 0 V, to -10.9 V – which is a bit above the specification – the device is supposed to output 0 to -10 V.
Next, let this thing run for about 18 hours recording the voltage at each of the allowed input codes, using a HP 34401A 6.5 digit volt meter, using a little program and GPIB cable. 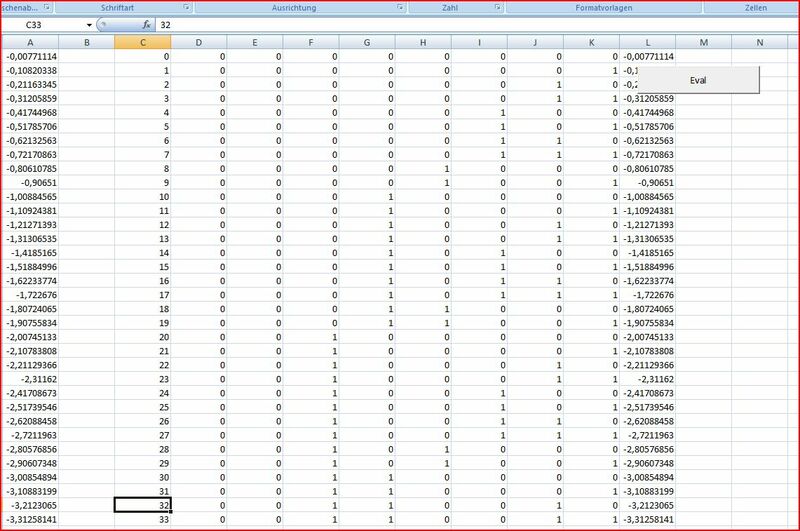 After recording all the numbers, some number crunching using well-known Excel…. 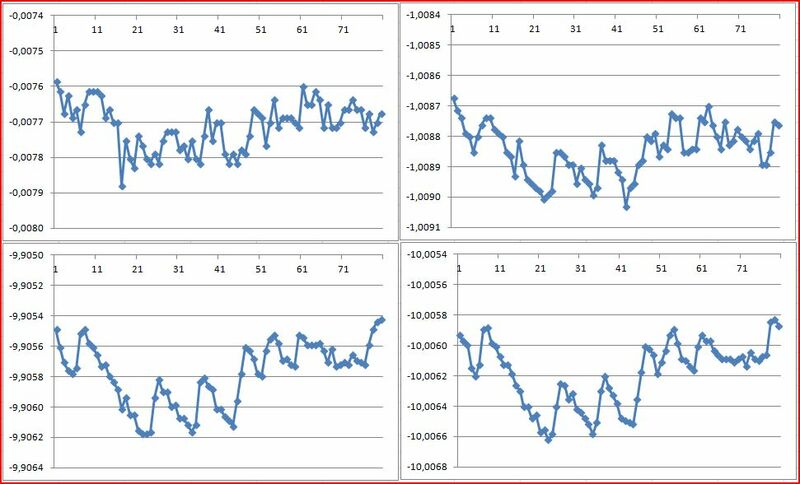 multi parameter linear regression. 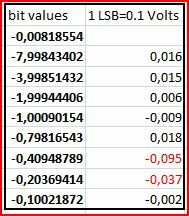 Regression analysis yields the voltage values associated with the bits, they are close, but the 0.2 and 0.4 V have some deviation. It’s a pitty I didn’t test this device about 30 years ago, then we would know if this deviation is due to age, or just the result of normal manufacturing tolerances (certainly all within specified limits). 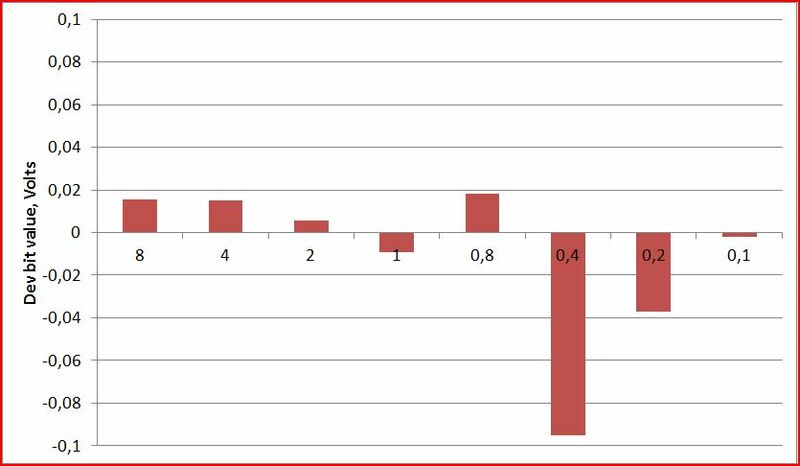 Here, as a last graph- the total deviation (which contains all error sources, including any offset errors), accordingly, the output tends to be 0.005 to 0.02 V (0.05 to 0.2 LSB) low, digital code vs. actual output voltage. Pretty good (limit is +-0.25 LSB), still. Now, let’s keep this device another 30 years, and repeat the test…… I will keep you posted.